Today I am going to tell you all about a website called Rylcolikes where I became a member yesterday. I was extremely impressed with this site as it makes facebook to earn money. Yes they pay users for clicking the ‘Like’ buttons in facebook. The rules to pay were simple. Site pays you $0.01 per clicking the facebook ‘Like’ button. You need only to have a facebook account to start with Rylcolikes. The minimum payout is only $2 which can be withdrawn via pay pal. It only takes a maximum of 4 business days to get paid after the withdrawal request. Payments are made on every monday. The referral program of Rylcolikes is also quiet good one. They pay you a 5% of the withdraw amounts by users you refer. Funds will instantly show in your account. If you own a website or blog you can even become a reseller. You can start selling facebook likes through your website by simply placing the codes. You will be able to earn 15% of the sales that you make. 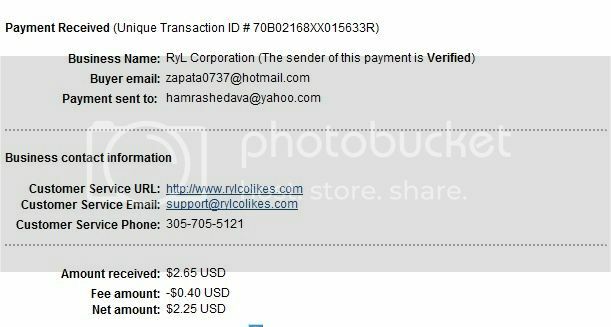 Video showing how to earn money with Rylcolikes.